Dental Costs can vastly vary on numerous factors. Depending on what you are having done, preventative care, restorative care or cosmetic care, there may be an insurance plan that can cover some or all costs. Other variance costs can be due to where you live and if you are seeing a general dentist or a specialist. Dentists are medical doctor with the skill, education, and costs associated. 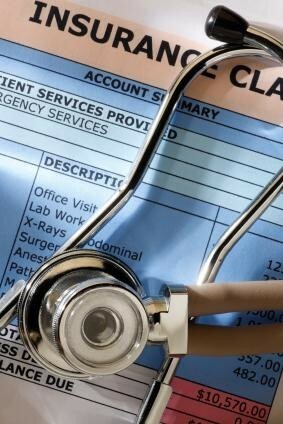 Working with an insurance company is best to keep the costs reasonable and to receive the care you need. Is Dental Insurance worth the costs? For some patients, dental insurance may not be worth the costs. Paying for an annual dental cleaning out of pocket is generally less than paying for dental insurance for a year. Insurance is generally paid to cover the "what if's" in situations. If you have a cavity, or if you need other restoration work done, then dental insurance may prove to be a huge benefit. We invite you to investigate both insurance programs and discount programs to find what would work best for you. Most dental insurance companies do not cover the costs of some larger procedures including dental crowns, inlays or onlays, causing patients to question why they are paying for a service that is of no financial benefit to them. Why should Dentists be paid like doctors? Dental work can be expensive, because dentists are doctors. With years of training, education and experience, your dentist has worked hard to be in their position. The money associated with the work done also includes costs of running an office, employing staff, and purchasing the tools needed to stay on top of the latest information. Your dentist maintain a continuous evolving education through continuing courses, attending lectures, and spending time in clinic to stay abreast of the latest tips and techniques. Please contact us if you have any questions about your dental insurance.